Researchers are investigating if combining preventative courses for drug and alcohol use and mental health disorders like depression and anxiety is more effective for adolescents that delivering the strategies separately. Researchers include Curtin University's Nyanda McBride and Steve Allsop who are among co-authors of a recent study which describes the wide-reaching research. The paper says anxiety and depression, and drugs and alcohol account for three quarters of the disability attributed to mental disorders and the peak of the disability occurs in 15 to 24-year-olds. 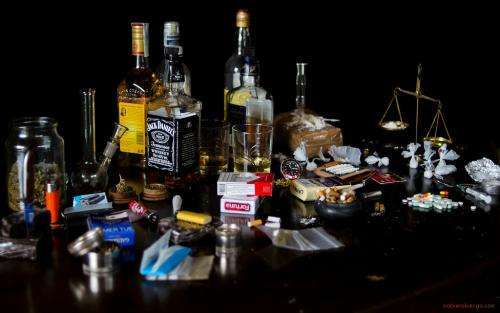 Dr McBride says it is imperative preventative measures are taken to reduce the occurrence and cost of these disorders before they cause disability and ensuing problems around employment, education and anti-social behaviour. The team of researchers is investigating 8400 students across 84 school in New South Wales, Queensland and Western Australia aged 13 to 14 years. They will be divided into four groups; one will be delivered the CLIMATE Schools alcohol and cannabis course while another will receive the CLIMATE Schools depression and anxiety course. The third will be delivered the CLIMATE School Combined incorporating substance use with mental health components while the remaining group will be the control group whose information will come from health and physical education units at school. The CLIMATE Schools programs are computer-based comic scenarios created by the National Drug and Alcohol Research Centre and the Australian National Health and Medical Research Council Centre for Research Excellence in Mental Health and Substance Abuse. Dr McBride says past and preliminary research has demonstrated the efficacy of the individual Climate Schools alcohol and cannabis, and depressive and anxiety courses in reducing the prevalence and problems associated with these respective disorders. But her team were prompted to do their research because studies show that anxiety, depressive and substance use disorders tend to co-occur, interact and share common risk factors. "However, there are few well implemented programs that are aimed to concurrently prevent these common disorders," she says. "The next step is to combine these courses to develop a program—Climate Schools Combined—which will simultaneously target alcohol, cannabis, depressive and anxiety disorders. "It is anticipated that the CSC model will be more effective in reducing the prevalence and problems associated with these disorders." The report says an array of substance use programs have existed for some time but the majority have shown minimal effects in reducing substance use and harm and some have even reported detrimental effects. The most common factors leading to failure are abstinence based outcomes and implementation failure. More information: "The CLIMATE schools combined study: a cluster randomised controlled trial of a universal Internet-based prevention program for youth substance misuse, depression and anxiety." Teesson M, et al. BMC Psychiatry. 2014 Feb 5;14(1):32. DOI: 10.1186/1471-244X-14-32.